Orkla, through its Orkla Foods Danmark subsidiary, has entered into an agreement to acquire 90% of Easyfood, a Danish producer of bread-based convenience products for the out-of-home channel. Founded in 2000, Easyfood had a turnover of DKK 316.1 million (48.7 million dollars) in the 12 months to the end of October 2018 and employs 144 people. The deal values the company at DKK 330 million (50.8 million dollars). Kolding-headquartered Easyfood produces a range of bakery products for a customer base that includes in-store bakeries, convenience stores, cafés, petrol stations and the foodservice sector. 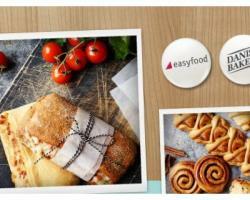 Orkla Foods Danmark CEO Carsten Hänel said: “Easyfood is well positioned in a growing market for convenience products. Orkla holds a strong position in the Danish grocery sector, in a wide range of food categories. The current owners of Easyfood are Flemming Paasch and Hemming Van. Paasch will remain at the company as CEO and minority shareholder.